Lindsay Mendez, Carra Patterson, Sas Goldberg and Gideon Glick in Joshua Harmon's new comedy "Significant Other," at Roundabout Theatre Co.
How’s your social life? If you’re Jordan Berman, the pushing-30 hero of Joshua Harmon’s relatable comedy “Significant Other,” it’s nothing to write home about. Sadly, it’s the question everyone is asking—Jordan’s grandmother, and his trio of gal pals, who are pulling away from Jordan as they carve out independent lives. With “Significant Other,” now playing at the Laura Pels Theatre, Harmon (“Bad Jews”) has wandered into often-traversed territory (“S.O.” could just as well be called “Will, Grace, Grace & Grace”) and unearthed a sweet and painfully honest coming-of-age story that’ll probably seem familiar to many 20-somethings, gay or straight. Glick—goofy, gangly and altogether charming—is a great choice to play Jordan, whose sexual orientation is practically irrelevant. Any of us can understand the idea of having to let go of the relationships we may have once cherished for their perceived security. He’s very likable, and we share the pain he feels in having to let go of things beyond his control. Jordan’s friends are nicely sketched out, and it's apparent why he feels their loss. Kiki (Sas Goldberg) is protective, but comically abrasive (particularly in the play’s first scene, which has her explaining how she wasn’t going to find love until she first loved herself). Carra Patterson is appealing as Vanessa, the most crude of the trio. Jordan’s closest relationship, though, is with Laura (Lindsay Mendez, of “Dogfight”)—they’ve sworn in jest that their “subversive” wedding song will be Celine Dion’s “Because You Loved Me”—and it’s in Laura’s drifting away that Jordan feels the most abandoned. 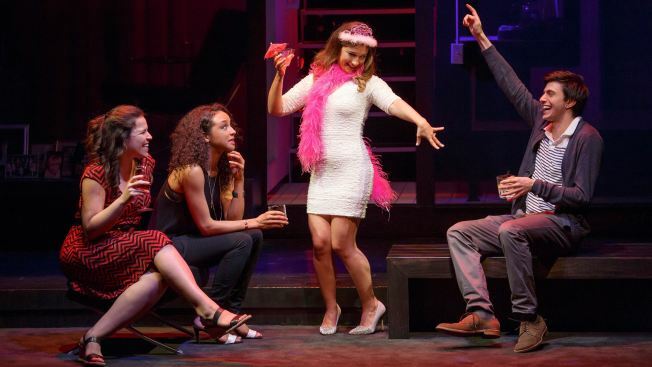 His breakdown at her bachelorette party, which serves as the play’s climax, is the sort of selfish and human display that will be appreciated (if not condoned) by anyone who’s spent a significant amount of emotional energy celebrating someone else’s happiness. Barbara Barrie, a Tony nominee from the original cast of “Company,” is on hand as Jordan’s somewhat dotty grandmother, a widow exhibiting signs of dementia. Jordan doesn’t think his grandmother can understand his problems, but she manages to bridge the years between them on a phone call he places from Laura’s party. Being single in the city is hard, and Harmon doesn’t sugar coat any of it. “Significant Other,” holds a mirror to the life of a young gay man in New York City, with all its foibles, absurdities and confusion. “Significant Other,” through Aug. 16 at the Laura Pels Theatre, 111 W. 46th St., Tickets: $79. Call 212-719-1300.